Known for its banks and soulless skyscrapers, the German city on the Main River is currently in the midst of an electrifying transformation thanks to a creative renaissance of the nightlife scene here, to say nothing of our much talked about boutique and luxury hotels in Frankfurt. The city’s bold environmental initiatives in the news of late are largely due to creative leaders implementing aggressive but attainable goals: Reduce emissions 40 percent by the year 2030, with the city to be completely supplied by renewable energies by 2050. Meanwhile, everything you may have heard about the city’s booming scene of new restaurants, clubs, and culture is true. Spearheading this growth is the red light district here (which include some of our great Frankfurt hotels), while on the highbrow front, a massive new underground extension of the Städel Museum is attracting attention the world over. 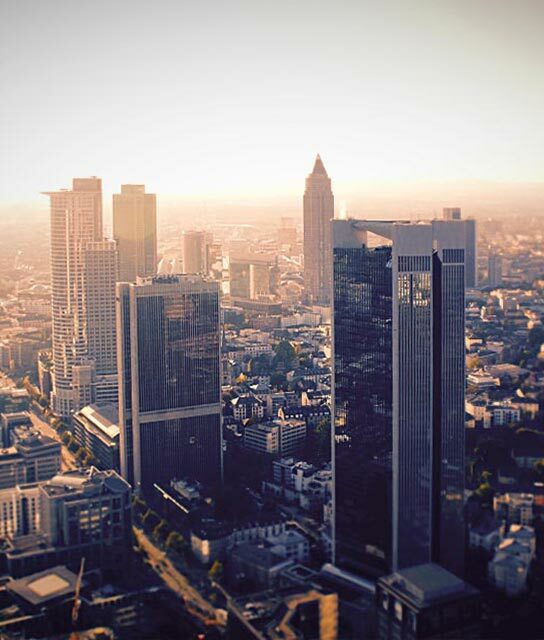 Below find a list of our selection of boutique and luxury hotels in Frankfurt. Classical architecture in a transformed flour mill is interspersed with modern accoutrements, handsome leather furniture, and a 500-seat summer garden. Take on Frankfurt from a futuristic wonder, where dark tones and leather abounds, and the lobby recalls a posh Japanese club. Completely private, Roomers Loft is perfect for hosting a dinner, holding an unusual conference, or just living like a king. Capture downtown Frankfurt's open-minded, cosmopolitan spirit in a chic, fashion-forward design of marble-meets-leather-meets nightlife supreme.